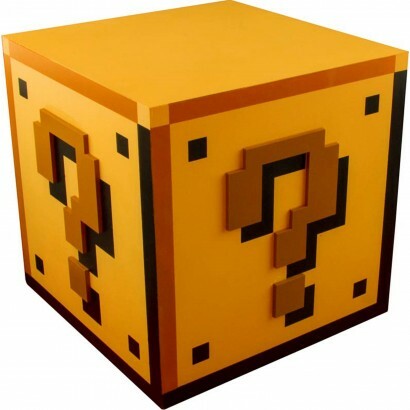 The iconic question block from the iconic game Super Mario Bros, this light is a bonus for any gaming fans room! 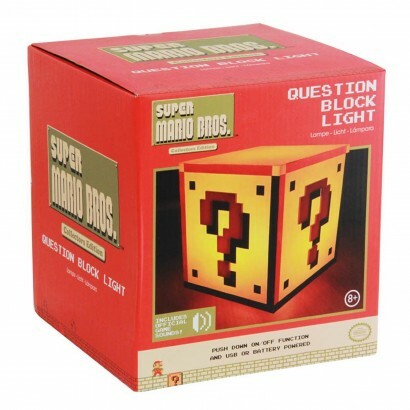 A collectors edition light shaped as the question block from the iconic game, the light is activated by touch; simply press down to switch on or off again and activate real game sounds too! 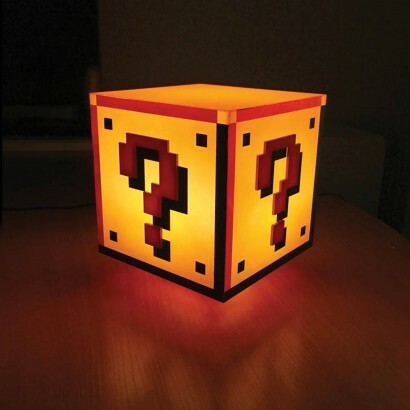 Powered by micro USB, there's a lead included, or you can run it from batteries (not included) giving you the freedom to place this playful lamp anywhere in your home.